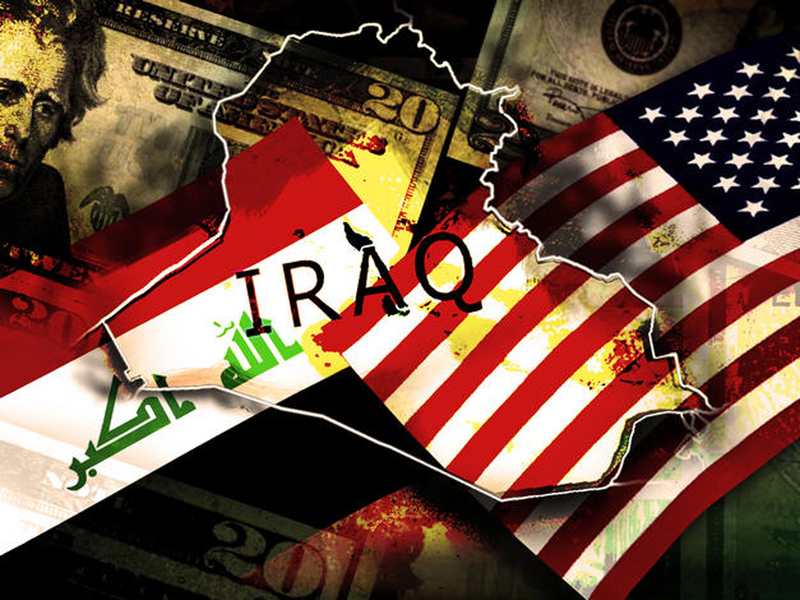 WASHINGTON Ten years and $60 billion in American taxpayer funds later, Iraq is still so unstable and broken that even its leaders question whether U.S. efforts to rebuild the war-torn nation were worth the cost. In his final report to Congress, Special Inspector General for Iraq Reconstruction Stuart Bowen's conclusion was all too clear: Since the invasion a decade ago this month, the U.S. has spent too much money in Iraq for too few results. The reconstruction effort "grew to a size much larger than was ever anticipated," Bowen told The Associated Press in a preview of his last audit of U.S. funds spent in Iraq, to be released Wednesday. "Not enough was accomplished for the size of the funds expended." In interviews with Bowen, Prime Minister Nouri al-Maliki said the U.S. funding "could have brought great change in Iraq" but fell short too often. "There was misspending of money," said al-Maliki, a Shiite Muslim whose sect makes up about 60 percent of Iraq's population. Iraqi Parliament Speaker Osama al-Nujaifi, the country's top Sunni Muslim official, told auditors that the rebuilding efforts "had unfavorable outcomes in general." "You think if you throw money at a problem, you can fix it," Kurdish government official Qubad Talabani, son of Iraqi president Jalal Talabani, told auditors. "It was just not strategic thinking." The abysmal Iraq results forecast what could happen in Afghanistan, where U.S. taxpayers have so far spent $90 billion in reconstruction projects during a 12-year military campaign that is slated to end, for the most part, in 2014. Shortly after the March 2003 invasion, Congress set up a $2.4 billion fund to help ease the sting of war for Iraqis. It aimed to rebuild Iraq's water and electricity systems; provide food, health care and governance for its people; and take care of those who were forced from their homes in the fighting. Less than six months later, President George W. Bush asked for $20 billion more to further stabilize Iraq and help turn it into an ally that could gain economic independence and reap global investments. To date, the U.S. has spent more than $60 billion in reconstruction grants to help Iraq get back on its feet after the country was broken by more than two decades of war, sanctions and dictatorship. That works out to about $15 million a day. And yet Iraq's government is rife with corruption and infighting. Baghdad's streets are still cowed by near-daily deadly bombings. A quarter of the country's 31 million population lives in poverty, and few have reliable electricity and clean water. Overall, including all military and diplomatic costs and other aid, the U.S. has spent at least $767 billion since the American-led invasion, according to the Congressional Budget Office. National Priorities Project, a U.S. research group that analyzes federal data, estimated the cost at $811 billion, noting that some funds are still being spent on ongoing projects. Sen. Susan Collins, a member of the Senate committee that oversees U.S. funding, said the Bush administration should have agreed to give the reconstruction money to Iraq as a loan in 2003 instead as an outright gift. "It's been an extraordinarily disappointing effort and, largely, a failed program," Collins, R-Maine, said in an interview Tuesday. "I believe, had the money been structured as a loan in the first place, that we would have seen a far more responsible approach to how the money was used, and lower levels of corruption in far fewer ways." --In Iraq's eastern Diyala province, a crossroads for Shiite militias, Sunni insurgents and Kurdish squatters, the U.S. began building a 3,600-bed prison in 2004 but abandoned the project after three years to flee a surge in violence. The half-completed Khan Bani Sa'ad Correctional Facility cost American taxpayers $40 million but sits in rubble, and Iraqi Justice Ministry officials say they have no plans to ever finish or use it. --Subcontractors for Anham LLC, based in Vienna, Va., overcharged the U.S. government thousands of dollars for supplies, including $900 for a control switch valued at $7.05 and $80 for a piece of pipe that costs $1.41. Anham was hired to maintain and operate warehouses and supply centers near Baghdad's international airport and the Persian Gulf port at Umm Qasr. --A $108 million wastewater treatment center in the city of Fallujah, a former al Qaeda stronghold in western Iraq, will have taken eight years longer to build than planned when it is completed in 2014 and will only service 9,000 homes. Iraqi officials must provide an additional $87 million to hook up most of the rest of the city, or 25,000 additional homes. --After blowing up the al-Fatah bridge in north-central Iraq during the invasion and severing a crucial oil and gas pipeline, U.S. officials decided to try to rebuild the pipeline under the Tigris River, at a cost of $75 million. A geological study predicted the project might fail, and it did: Eventually, the bridge and pipelines were repaired at an additional cost of $29 million. --A widespread ring of fraud led by a former U.S. Army officer resulted in tens of millions of dollars in kickbacks and the criminal convictions of 22 people connected to government contracts for bottled water and other supplies at the Iraqi reconstruction program's headquarters at Camp Arifjan, Kuwait. In too many cases, Bowen concluded, U.S. officials did not consult with Iraqis closely or deeply enough to determine what reconstruction projects were really needed or, in some cases, wanted. As a result, Iraqis took limited interest in the work, often walking away from half-finished programs, refusing to pay their share, or failing to maintain completed projects once they were handed over. Deputy Prime Minister Hussain al-Shahristani, a Shiite, described the projects as well intentioned, but poorly prepared and inadequately supervised. The missed opportunities were not lost on at least 15 senior State and Defense department officials interviewed in the report, including ambassadors and generals, who were directly involved in rebuilding Iraq. One key lesson learned in Iraq, Deputy Secretary of State William Burns told auditors, is that the U.S. cannot expect to "do it all and do it our way. We must share the burden better multilaterally and engage the host country constantly on what is truly needed." Army Chief of Staff Ray Odierno, who was the top U.S. military commander in Iraq from 2008 to 2010, said, "It would have been better to hold off spending large sums of money" until the country stabilized. About a third of the $60 billion was spent to train and equip Iraqi security forces, which had to be rebuilt after the U.S.-led Coalition Provisional Authority disbanded Saddam's army in 2003. Today, Iraqi forces have varying successes in safekeeping the public and only limited ability to secure their land, air and sea borders. The report also cites Defense Secretary Leon Panetta as saying that the 2011 withdrawal of American troops from Iraq weakened U.S. influence in Baghdad. Panetta has since left office: Former Sen. Chuck Hagel took over the defense job last week. Washington is eyeing a similar military drawdown next year in Afghanistan, where U.S. taxpayers have spent $90 billion so far on rebuilding projects. The Afghanistan effort risks falling into the same problems that mired Iraq if oversight isn't coordinated better. In Iraq, officials were too eager to build in the middle of a civil war, and too often raced ahead without solid plans or back-up plans, the report concluded. Most of the work was done in piecemeal fashion, as no single government agency had responsibility for all of the money spent. The State Department, for example, was supposed to oversee reconstruction strategy starting in 2004, but controlled only about 10 percent of the money at stake. The Defense Department paid for the vast majority of the projects -- 75 percent.